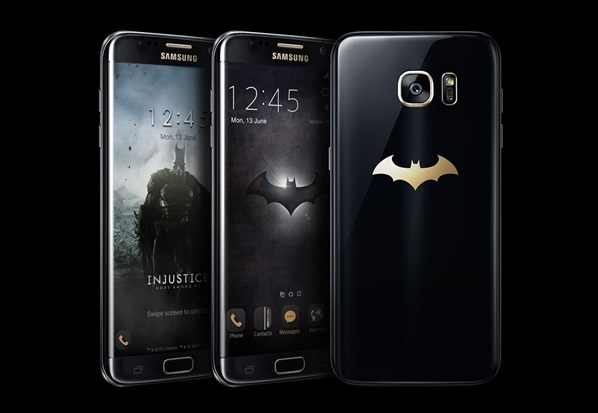 SAMSUNG releases Batman-inspired Galaxy S7 edge Injustice Edition. Samsung Electronics today announced the Galaxy S7 edge Injustice Edition in collaboration with Warner Bros. Interactive Entertainment and DC Entertainment. To commemorate the third anniversary of the popular mobile game, Injustice: Gods Among Us, the companies came together to bring Samsung's technology and one of the game's central characters, Batman, in a sleek, high-performance smartphone. The Injustice: Gods Among Us game is also available as a free download on Google Play Store. The Galaxy S7 edge Injustice Edition package is equipped with a sleek deep black Galaxy S7 edge, accentuated by gold detailing and an iconic seal on the back, inspired by Batman. The package additionally offers a Gear VR (in select territories), along with Injustice game credit and Oculus VR content vouchers. Developed from the ground up by award-winning NetherRealm Studios, the Injustice: Gods Among Us mobile game delivers stunning graphics and a completely unique fighting gameplay experience. The game features a collectible card mechanic and engages players in 3-on-3 tag team combat that features many of DC's most iconic characters. Hardware specifications of the Samsung Galaxy S7 edge include Exynos 8890 64-bit octa-core (2.3GHz quad-core + 1.6GHz quad-core) processor with 4GB LPDDR4 RAM, 12MP dual pixel f/1.7 rear camera with smart OIS, 5MP selfie shooter, 4G support (LTE Cat 9) and fast charging, among other features.